Please make sure you are in attendance. Please let your teacher know as soon as possible if you Can or Cannot attend. 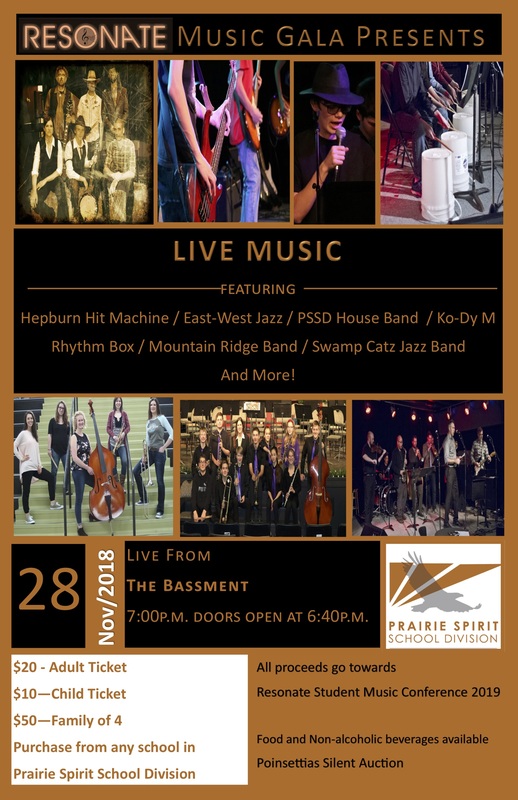 Students need to be at the Bassment Jazz club in Saskatoon for 6:20pm for a 7pm start. Tickets are $20 for adults and $10 for children. $50 for a family of four.